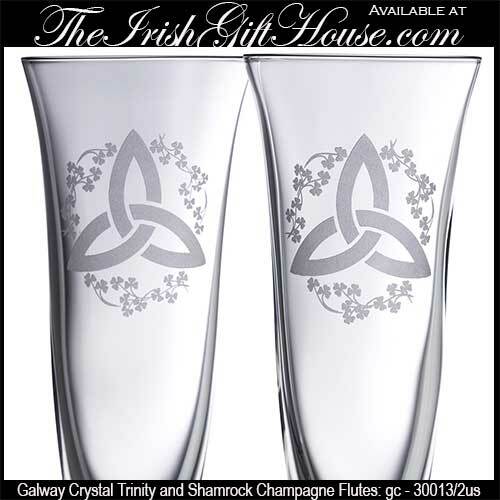 This pair of Celtic champagne flutes are proudly etched with a Trinity knot that is surrounded by shamrocks. 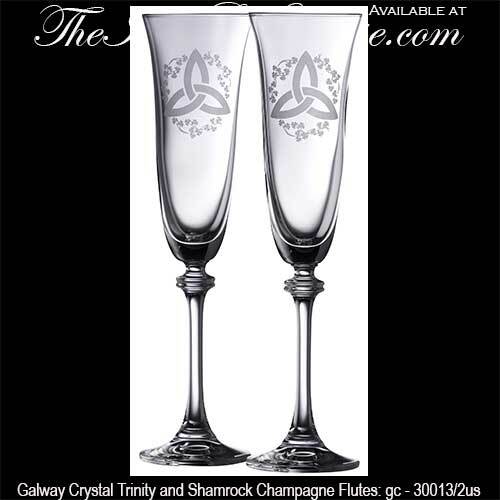 The Trinity champagne glasses are perfect as toasting flutes for any celebration including Irish weddings. The pair of Galway Crystal glasses measure 10 1/4" tall x 2 1/2" wide at the rim. The Irish champagne flutes are gift boxed with Celtic knot and shamrock history cards that are complements of The Irish Gift House.